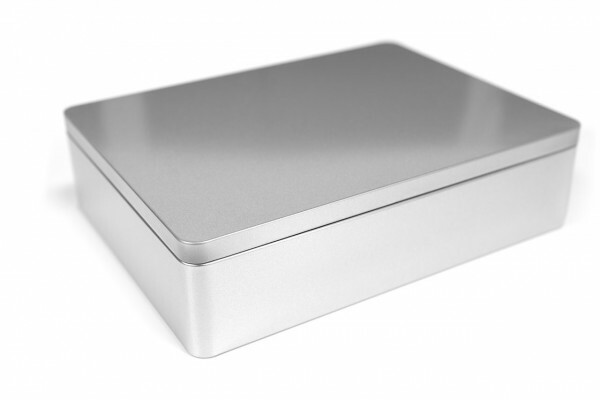 The silver matt KLANN Premium Tin made from high-class tinplate has a flat premium lid and is predestined as a gift or storage tin for merchandising products or sweets that do not exceed a height of 60mm. It enthrals with its silver matt metallic sheen and has a multi-purpose usage. The KLANN Premium Tin can be given a unique finish (for example with an embossing), starting from 100 pcs. The refinement costs can be offered on request. Related links to "Premium Tin"
Customer evaluation for "Premium Tin"